That's an absolute cracker Bob. 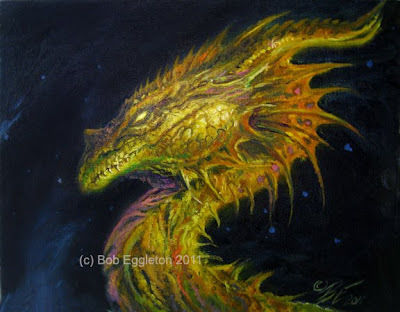 I love the gold and orange of the dragon against the deep blue background - has a wonderful celestial feel to it. Would love to own one of these beauties myself one day. Keep me in mind! Cheers.